The Gist: Mimi Valdés on the film Dope, and the Women’s World Cup earnings. The Sundance breakout Dope is about Malcolm, a ’90s hip-hop obsessed geek living in an L.A. neighborhood called the Bottoms. 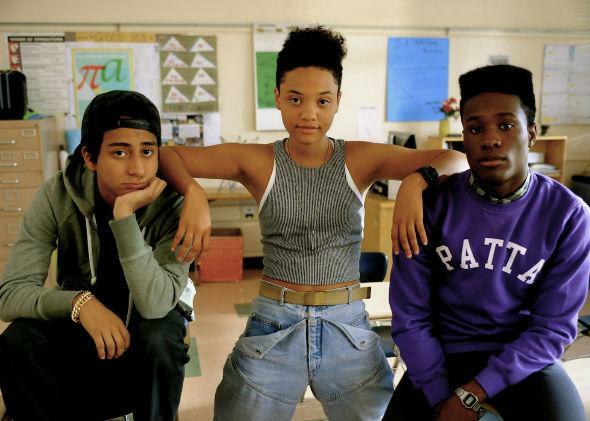 For nerds, the stars of Dope are good-looking kids. On The Gist, Mimi Valdés explains her work as chief creative officer for Pharrell Williams’ collective I Am Other. She’s a co-producer of the film Dope, the new drama-comedy from writer and director Rick Famuyiwa. For the Spiel, it didn’t take long for the joy of the U.S. winning the World Cup in women’s soccer to turn to a serious question. If you’ve seen the movie Dope—or just want its plot spoiled for you—make sure to check out Slate’s Spoiler Special on Dope, featuring Slate film critic Dana Stevens and the three hosts of the Panoply podcast About Race.